Acquired at the Brimfield Antique Show today! 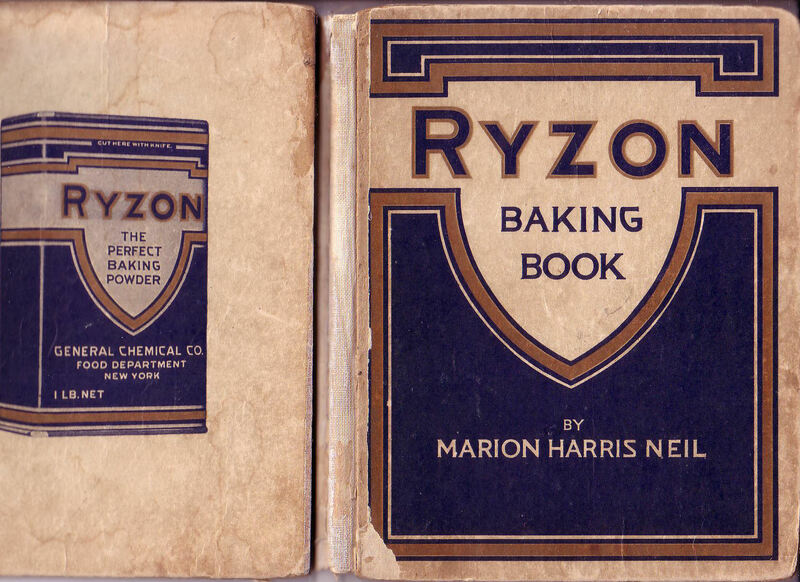 It also provides this very helpful image explaining how Ryzon’s activity level measures up to “other” baking powders, as well as a lot of information that suggests I need to research the contents of modern baking powder before I try using any of these recipes. Let’s see what they suggest for menus! First of four breakfast menus: “Orange Juice, Cooked Cereal with Cream, Poached Eggs, Bacon Curls, Date Bran Muffins, Coffee.” Apparently they were still writing menus for farmers? And you could also have afternoon tea. “Not all of us have maids so it is best, as well as in the best of taste, to keep things very simple. Afternoon tea is not a meal.” So … “Lobster Canapes, Olives in Bacon, Tea Cakes, Sand Tarts, Tea, Sliced Lemon, Crystallized Ginger, Cordial Drops” is not a meal. There can also be Sunday Night Supper (“Cold Cuts with Aspic, Salad Rolls, Chocolate Cream, Frozen Cookies, Coffee”) . 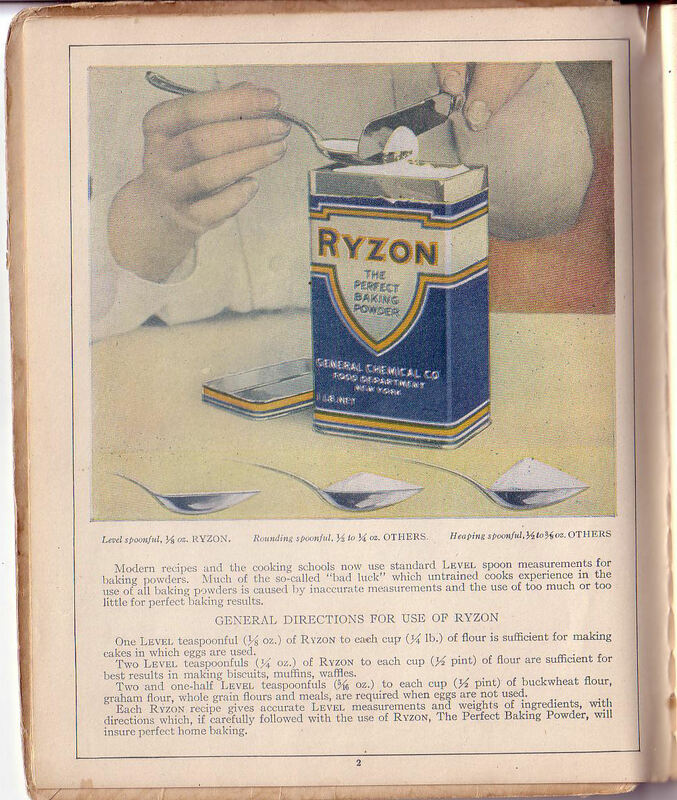 I think the key to surviving eating in those days was to have small portions of the various items. 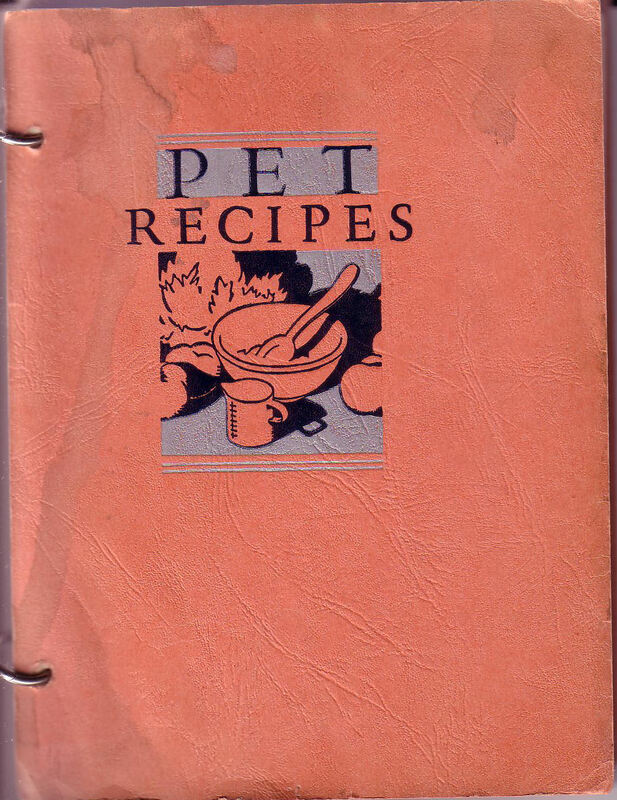 Next, also from 1931, “Pet Recipes” from the Pet Milk Company – which still exists; I suppose I’m only surprised because I don’t buy evaporated milk all that often. 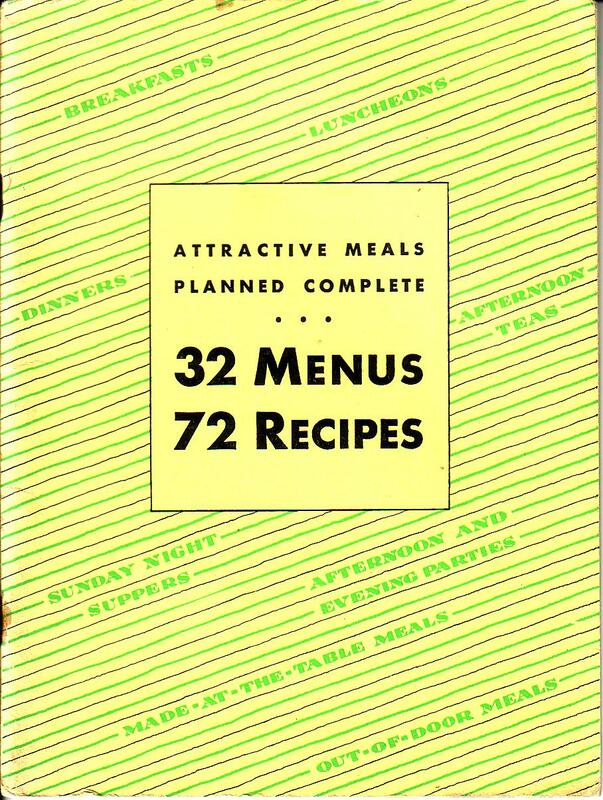 It has an unusual two-ring binder format and also offers some menus (luncheon and dinner for a whole week!). 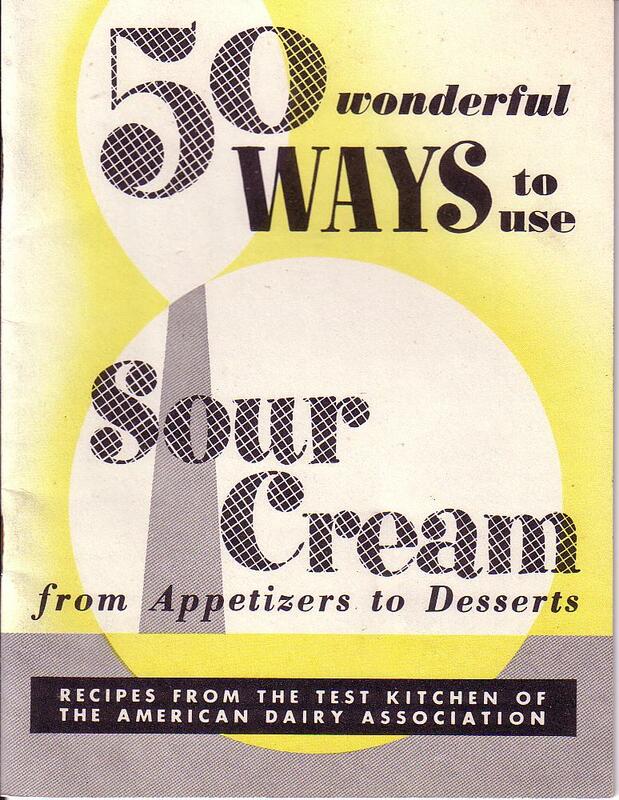 Finally, “50 Wonderful Ways to Use Sour Cream, from Appetizers to Desserts” (from the Western New York Milk Producers Cooperative Association, Inc.) is, I think, from the 1950s, but it should be handy to have some ideas around for using up the other half of the container of sour cream I bought for some recipe or other. 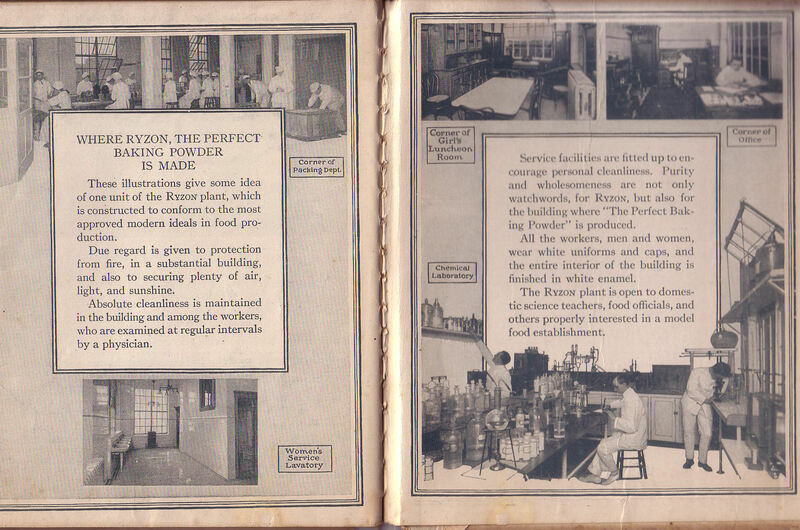 The introduction is addressed to “Dear Mrs. Homemaker,” and informs me that “In many communities, dairy sour cream is referred to as SALAD CREAM.” So I’ve learned something about American cooking vernacular, too!